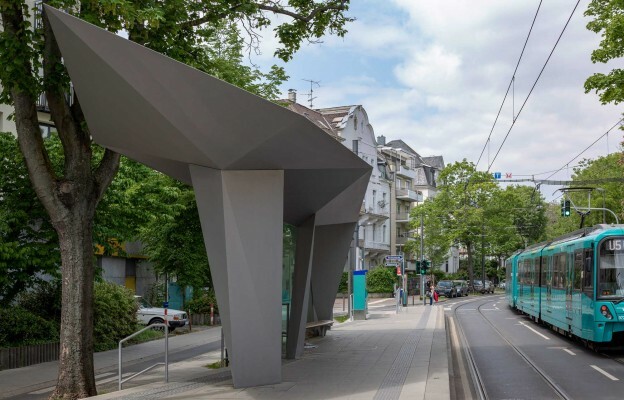 Already in 2010, the architects won the competition for the VGF underground stop in Glauburgstraße. The main goal was to develop new barrier-free stops to replace a row of overground stops for this line dating back to the 70s. 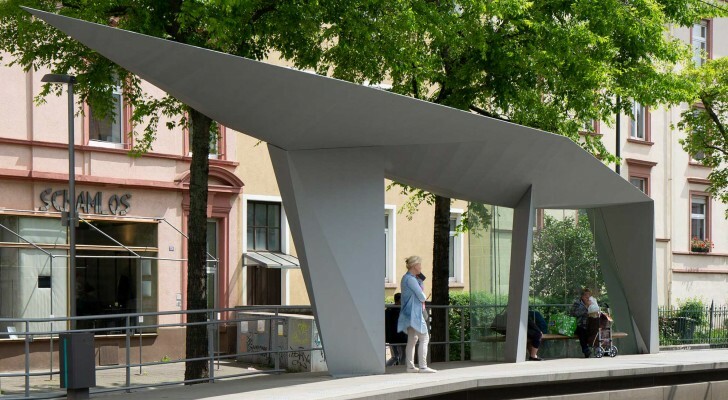 A special feature of this stop are the roofings on the platforms which appear as free-standing sculptures without front or backside. The folded outer skin consists of varnished steel sheet, the steel construction functions according to the principle of two funnels. 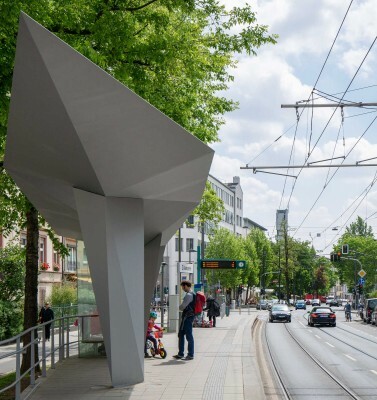 The folded roofs drain away rain water into the interiur of the pillars, and in the area of the seats a clamped safety glass forms the weather protection.